We specialize in upscale and unique travel experiences throughout Costa Rica. Every Costa Rica itinerary that we develop is private and exclusive to your travel group, no matter how many people will be traveling. We build your trip around your schedule and preferences. While we do offer all-inclusive trip itineraries, we do not coordinate “big-box style vacations” or put you on a bus or in a high-rise hotel with a bunch of strangers during your travel experience. We understand that this is a special vacation, and will personalize the itinerary so that your trip is distinctive and unforgettable! We encourage all travelers to review our Costa Rica itineraries in detail and let us know which you like the most. This will give us a good starting point as we begin the planning process. We will offer local advice and knowledge. Your interests and travel style will be matched with the best places to visit and the best accommodations for your trip (and budget). Your vacation time is valuable, and we want to create memories that will last a lifetime! How Many Days in Costa Rica? We specialize in trips that involve spending 8-10 days in Costa Rica. Most of our trips are described as 9 day trip, however, we also offer 8 and 11 day variations (with pricing) to help you better understand your options. If you’re looking to spend only 7 days in Costa Rica, we can accommodate that, but we recommend spending a little more than a week in Costa Rica. If you’re interested in a 12-14 day trip, we can help you see even more of this beautiful country and plan some incredible local experiences that you will never forget over the course of a two-week timespan. When it comes down to it, we can help with whatever length of trip that you’re interested in! Just contact us to get started. We’re happy to answer questions! Escape the Ordinary. Get a Unique Experience! Review our favorite trips below, or customizeyour own trip. Costa Rica Escapes specializes in hosting families of all sizes with children and adults of all different ages. With over 25 years of Costa Rica travel experience, we always use boutique properties that are appropriate for families. We only recommend age appropriate adventures and tours. Your family’s safety is our top priority. We take pride in choosing guides and destinations that will not only keep the young ones entertained, but will engage the most well-traveled grandparent, too. We use an incredible collection of properties that specifically offer couples a blend of privacy, rainforest wildlife and beach environments. Many of the properties that we use have in Costa Rica have private plunge pools, outdoor jungle showers, or a hot tub on the deck. These unique and special features provide the perfect setting for romance. Whether it’s a honeymoon, special anniversary trip or just an escape from the everyday life, we help you achieve the perfect balance of romance and adventure. Our collection of adventure and nature-specific trips are sure to create incredible memories for you and your travel companions. They cover a good deal of ground in an efficient manner and are meant for those looking to experience as much adventure while seeing a wide range of wildlife during their trip. These one-of-a-kind trips are uniquely designed using top-quality service providers and efficient travel methods. These are not your “budget” option trips. Our Costa Rica itineraries provide a very high level of quality and value. You never know when you’ll be back to visit, so we suggest making your trip to Costa Rica the absolute best that it can be! With Costa Rica Escapes, you can design and take a complete, integrated and personalized trip. We want to involve you in the trip design process as much as you’d like to be part of it. If you have ideas on where to go or what you’d like to do, please inform us and based on our knowledge and experience. Our team will provide you with ideas and suggestions, which will include secure connections, quality transportation, and fun, safe and awe-inspiring activities. We specialize in producing authentic and personalized travel experiences and use extensive knowledge and local relationships to offer travel suggestions tailored to your interests. This results in the perfect Costa Rica vacation. We strongly believe in making a personal connection over the phone to begin the itinerary planning process, because vacations like these are an important investment. We want to make sure that expectations are properly managed and everything is exactly as you want it to be. Feel free to call us as your schedule permits. We are available during the week, over the weekends and in the evenings. You can also email us to let us know how and when we can reach you. It doesn’t matter whether you purchase your airfare before you speak to us or afterward, but you will need to send us your flight information at some point early in our communication. We can offer you some suggestions on the airfare purchasing if you’d like. Let us know which of our family itineraries appeal to you, and we can begin discussing ideas to personalize your trip and secure necessary reservations. Once your trip details and an estimated price has been developed, we will request an initial deposit and travel application, verify availability and share the details of the accommodations. At this point, you can confirm your preferred accommodations and further refine the details of your trip. 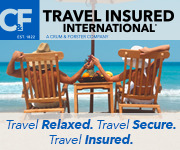 Travel insurance is also available from our preferred provider. We will work with you to define a deposit schedule that works for everyone. One week before your trip, you will receive a detailed, day-to-day Costa Rica itinerary that outlines your trip and gives you all of the necessary information and instructions to carry out your daily travel. Whether it’s a romantic honeymoon, a group of friends seeking high adventure, or a family that wants to integrate into the culture, we will combine your travel needs with our local knowledge to design your ideal Costa Rica travel itinerary!